Alpharetta homes for sale by Elementary School Search. Find homes listings for sale in Alpharetta GA listed by Alpharetta Elementary Schools. Search for homes by School Name, City, Subdivision, or Zip Codes! Sign Up for email alerts for listings updates, new homes for sale and back on market in Alpharetta GA.
As an advocate of Alpharetta education and schools, I've recently expanded our Alpharetta GA homes website to include homes for sale by school types and names. Now you can search for Alpharetta homes for sale by listed Elementary School. As long as the listing agent entered the school districts in the MLS listing entry, homes should appear under a search for the Elementary School Name. I've compiled a list of homes for sale in Alpharetta County GA and sorted them by Elementary School names. I also have compiled similar lists of home searches for Alpharetta High Schools, and Alpharetta GA Middle Schools. 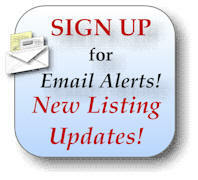 *Listings appear as per data listing agent entered in MLS listings.